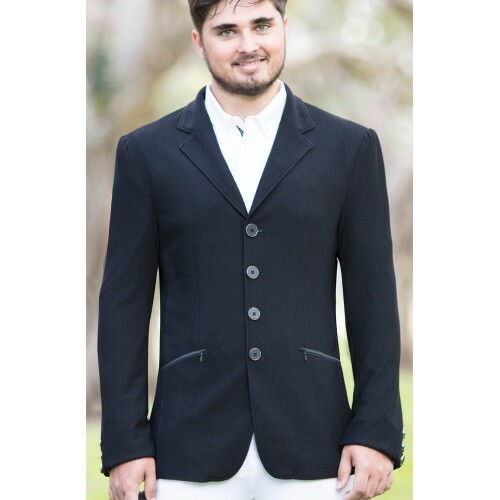  Huntington Merrick Kwik-Dry Mens Riding Jacket features open weave waffle material with Mesh Cells for Air-Flow. 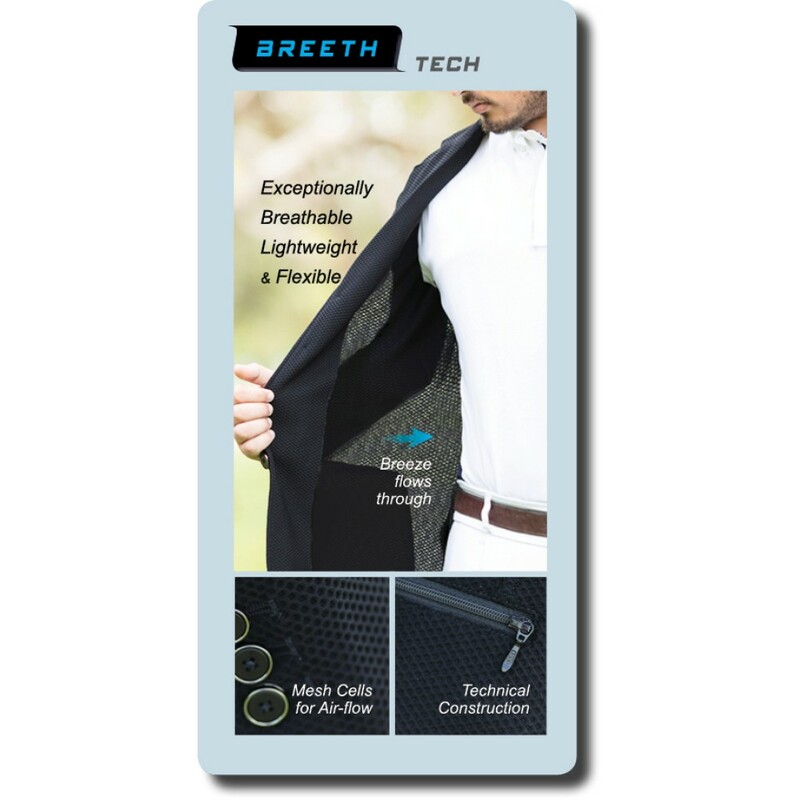  Ventilated mesh lining makes it light and cool to wear.  Stretchy, comfortable and lightweight, allowing you to concentrate on your performance in the competition ring. Thank you for your review of Huntington Merrick Kwik-Dry Mens Riding Jacket Med Black.